To volunteer at SJV, in the classroom, canteen and/or sporting events you are required to have on you your WWVP card. You must also have it registered at the SJV Front Office. Working with Vulnerable People(WWVP) Card is a necessity for anyone working with children or vulnerable people, this includes any volunteers within the school and our community. 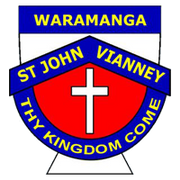 Access Canberra take compliance of this Government requirement seriously and have previously visited St John Vianneys to check that staff and volunteers are registered and are carrying their WWVP cards with them. For volunteers it is free to register you just need to fill in the registration form and obtain a photo ID. Remember you will need to renew your WWVP card before it expires. For all information and registration details visit the Access Canberra website.